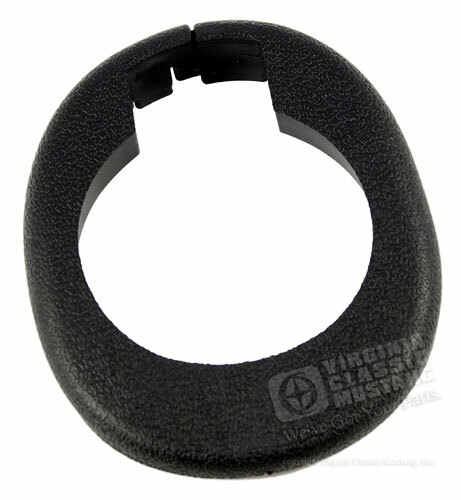 Plastic trim grommet that fits at steering column. Mounts on Lower Steering Column Cover. Exact reproduction with exact grain texture like the original.